Such pretty and versatile "stretchy" genuine Swarovski EMERALD CUT CRYSTAL bracelets! 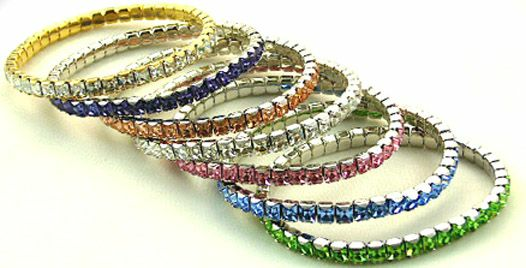 Please Note: These are not rhinestone bracelets, but genuine Swarovski crystal - do not be fooled by imitations. Features sterling silver or gold plating as noted.